A fireplace is the focal point in a room, so you want to make it look great. The furnishings in the room usually cluster around the fireplace so you can socialize with friends and family or curl up with a good book in front of the fire. It’s a place for warmth and comfort. 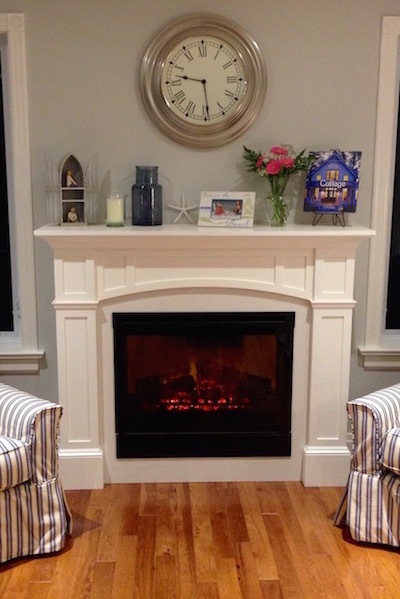 We’ve built several fireplace mantels over the years, all for new fireplaces. We feel that quality is important. For that reason, we made a video specifically about the quality of a fireplace mantel. You’ll learn what to look for if you’re shopping for a mantel or looking to build one yourself. We also responded to a viewer question about how to install a fireplace mantel. The videos are listed below.